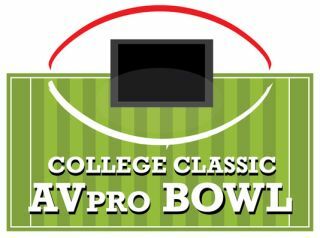 It's kicked off: NewBay's College Classic: AVpro Bowl helps recognize and promote the Best Integration of AV and Digital Signage with the college campus and campus life (sports, or non-sports applications). • Wild Cards & Independents (including famous ones like Notre Dame as well as smaller schools), and any school from other conferences not listed above. No mysterious BCS-like computers here– just like the NCAA’s new playoffs, we have a selection committee made up of stars of the University communities (no, not players and coaches– they’ll be busy– but University executives and technology administrators). As a prelude to the DIGI Awards (entry starts in late October), Digital Signage magazine, in its annual Resource Directory issue, and in association with AV Technology and ProAV, is featuring a major section on Digital Signage and AV on the College Campus — in the true spirit of the autumn season, and the new NCAA College Football Playoffs — by NCAA conference categories. But the program goes way beyond that to a stand-alone digital magazine, the College Classic: AVpro Bowl, blasted out to 50,000-plus AV integrators, College Campus IT and AV administrators.